Mikelah is a fashion blogger and digital content manager who combines her love for fashion and tech with a Jamaican twist to give people a diiffernt perspective on standing out with unique style. Sidni: Who are you Mikelah Rose? Mikelah: I am a Digital Content Manager by day and Caribbean-American Life & Style blogger at night. I have a passion for Caribbean culture, marketing and technology. Mikelah: I was a panelist at the Link Up CITE event. During the panel discussion, we talked about careers in technology from an entrepreneur and corporate/side hustle perspective. Mikelah: I got to meet a few new people in the space. Connecting with other people of Caribbean descent, who have similar career interests, is important to building a community that we can lean on. Sidni: How did you find out about CITE in the first place? Mikelah: Through a mutual friend Kerry-Ann Reid-Brown of Carry on Friends. Sidni: What advice would you give to other aspiring entrepreneurs and techies of Caribbean descent? Mikelah: Don't give up! Remember why you started and keep fueling that passion regardless of the obstacles in your way. Stay the course and have patience while you continue to do the work. It's a journey, not a race. 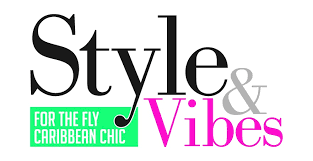 Mikelah: The best way is through my website, http://www.styleandvibes.com/.